Note: All of the small images are linked to full-size images. To view an image in full size, just click on the small image. The drivetrain of this Nomad will be a modern fuel injected V8 Corvette engine and electronically-controlled 4-speed transmission. 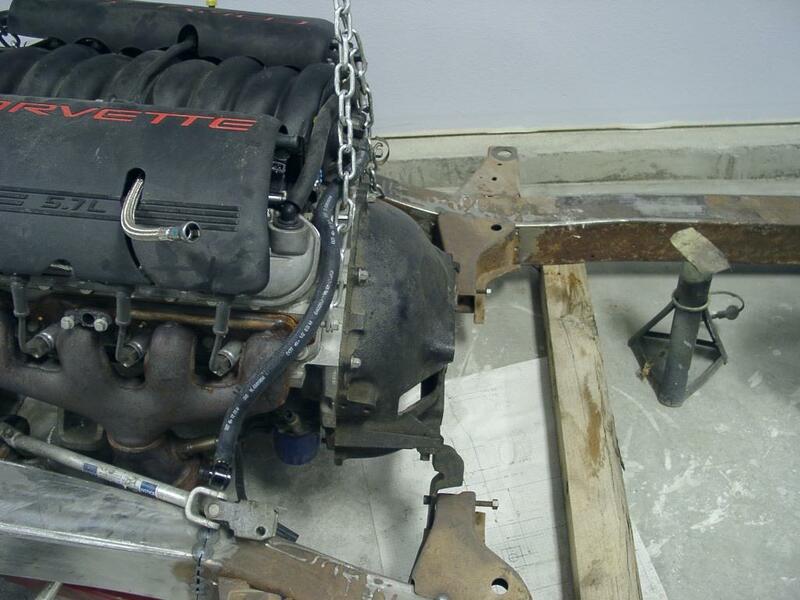 The engine is a 2000 LS1 from a Corvette, and the transmission is a 4L60E from a 2002 Firebird. Progress pictures and descriptions are posted in reverse order, with the most recent information at the top. 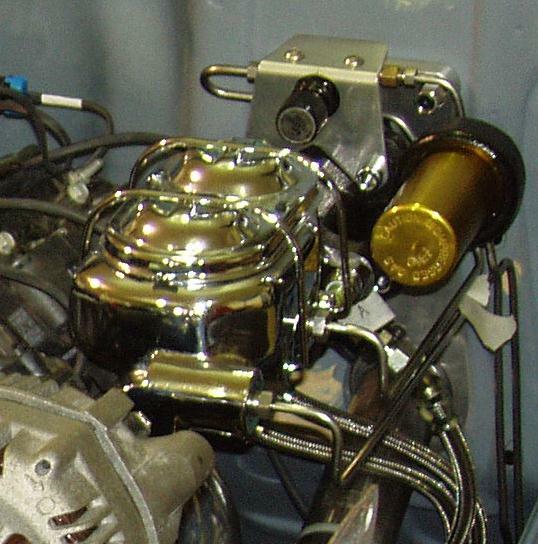 For braking power, I went with a Hydroboost Brake Booster, Corvette Master Cylinder, and aftermarket Proportioning Valve. 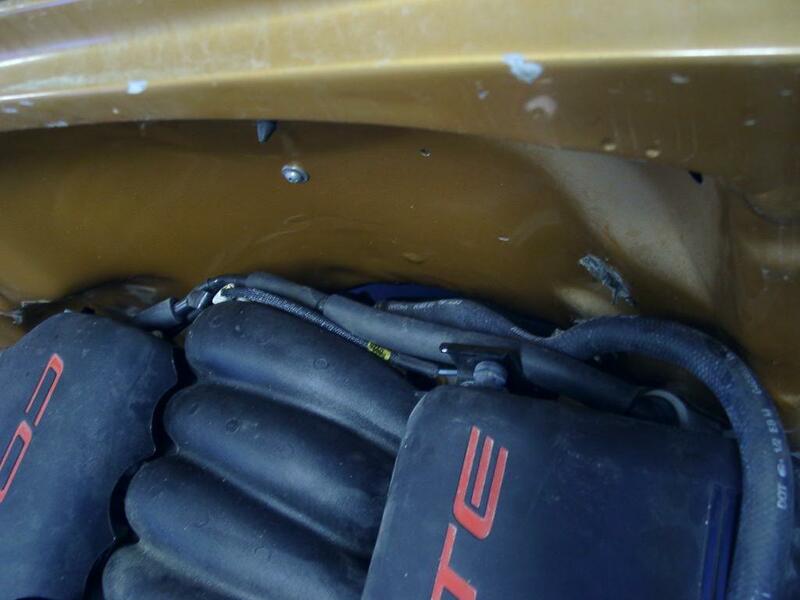 Corvette oil pan was too close for comfort. We changed it out in favor of a Camaro pan. 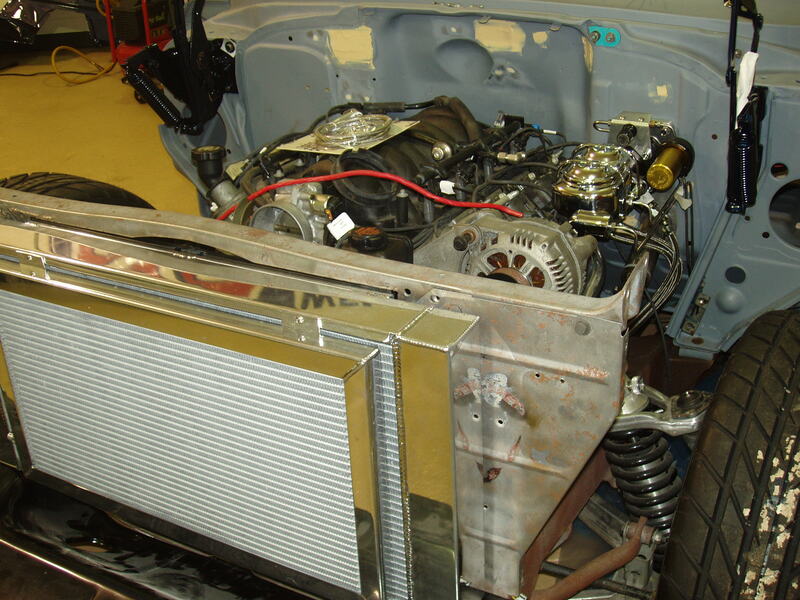 Aluminum crossflow radiator was specially-made for LS1 application in a '57 Chevy. Headers are from Street & Performance. The remainder of the system was bent locally. 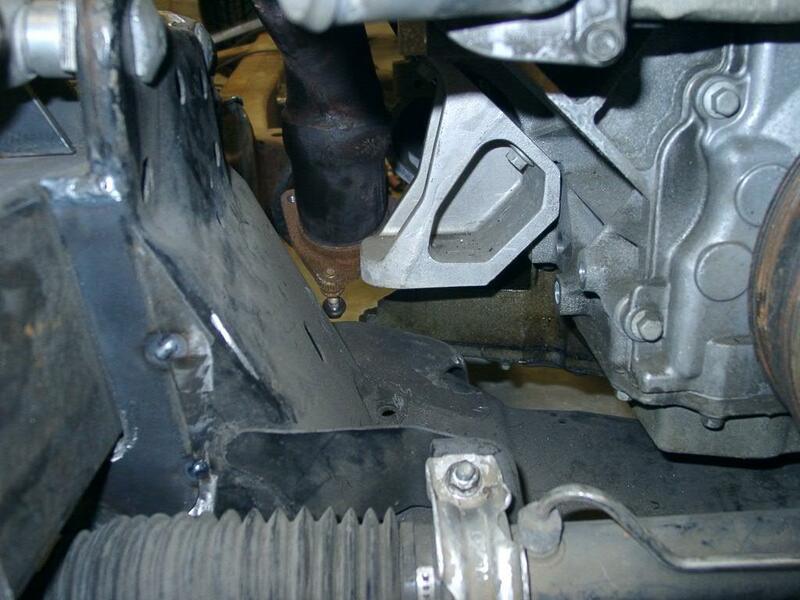 Passenger side O2 sensor hit frame, so Steve welded up the hole and moved the bung. The system was then taken to Coastal Coatings where they coated it with Jet Hot-type coating. November 18, 2003 - Dry fit of front clip before final prep for paint. It looks like there will be plenty of room for the cooling system components. 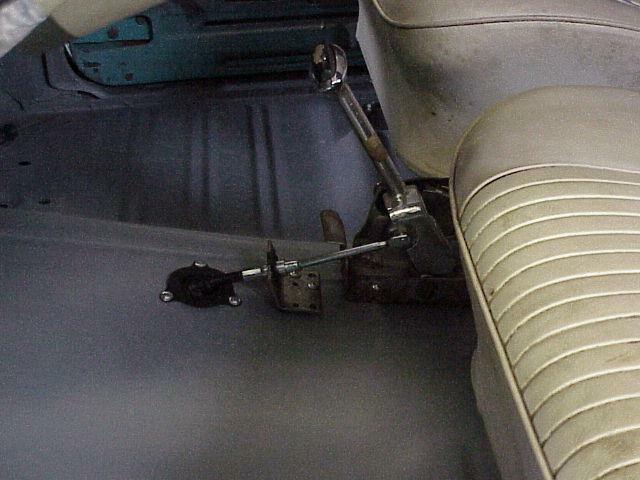 September 17, 2003 - The '64 Impala SS floor shifter was modified from a linkage-type two speed automatic shifter to a cable-type four speed shifter by using a kit from Shiftworks. Laszlo is working hard to determine the best position for the engine. 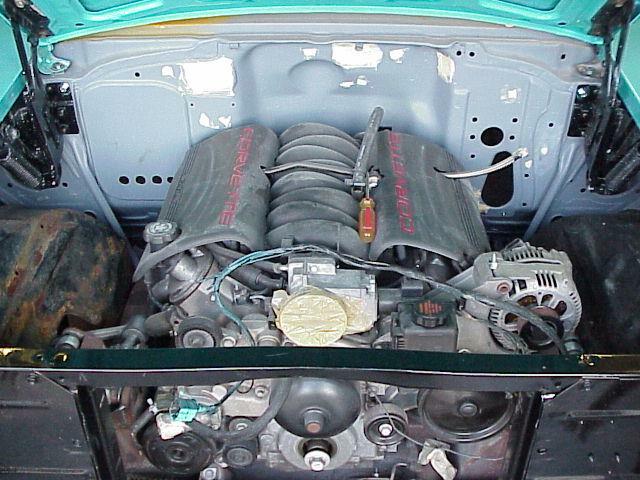 The pic below shows the engine placement about two inches forward of the "stock" location in a '57 Chevy. 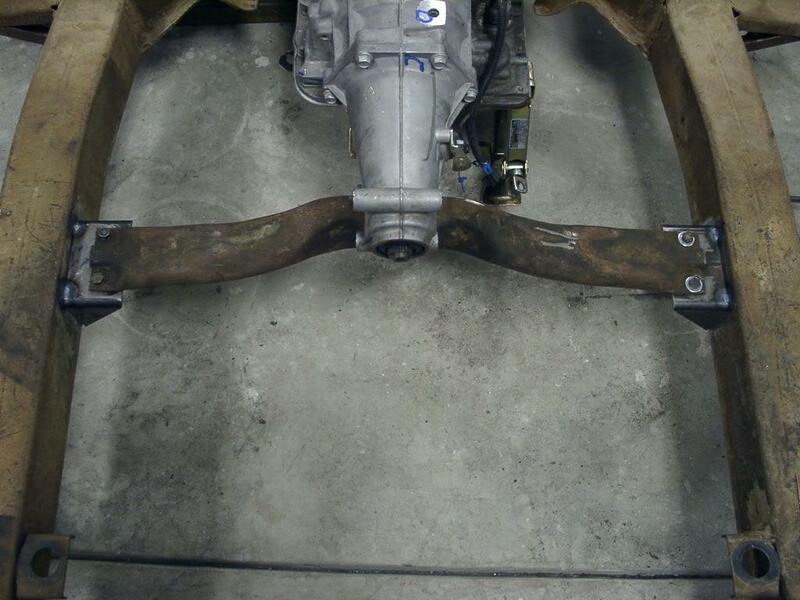 That puts the lower pulley above the steering rack. 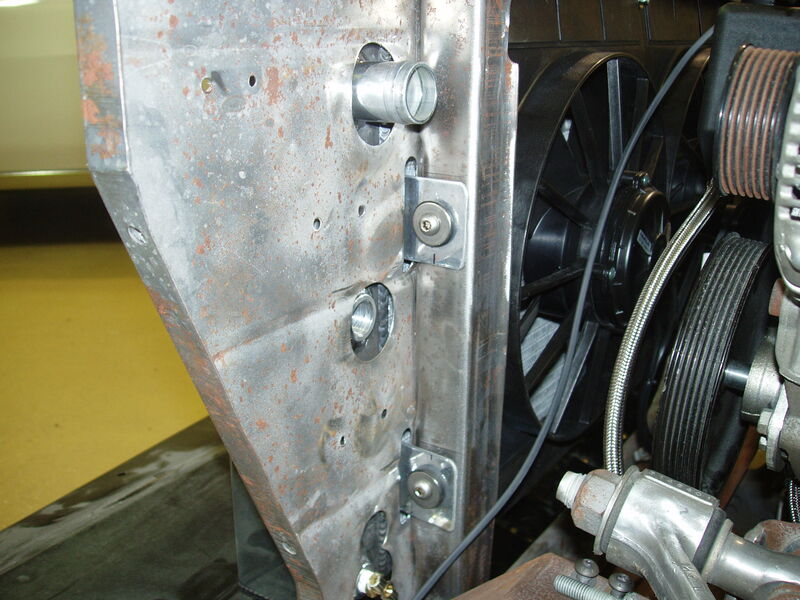 We are considering moving it another inch or so forward to allow the front of the engine to be lowered, putting the pulley in front of the rack. 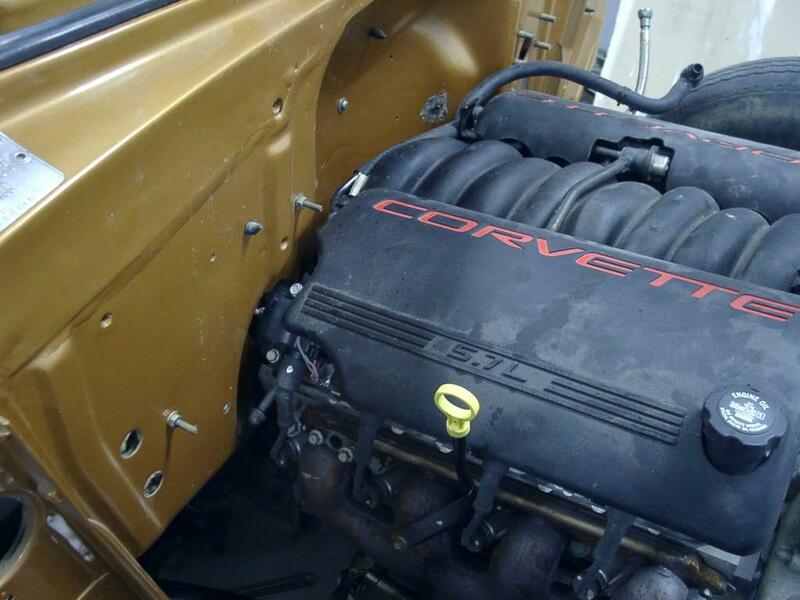 I called Street & Performance and ordered their Biscuit Motor Mount Kit for the LS1. This will interface between the stock Corvette engine mounting brackets and the custom pads Laszlo is making for the frame. The rear crossmember for the transmission is one I bought off a guy on Ebay. It is from a Firebird, and Laszlo had to do some cutting and welding to make it work. 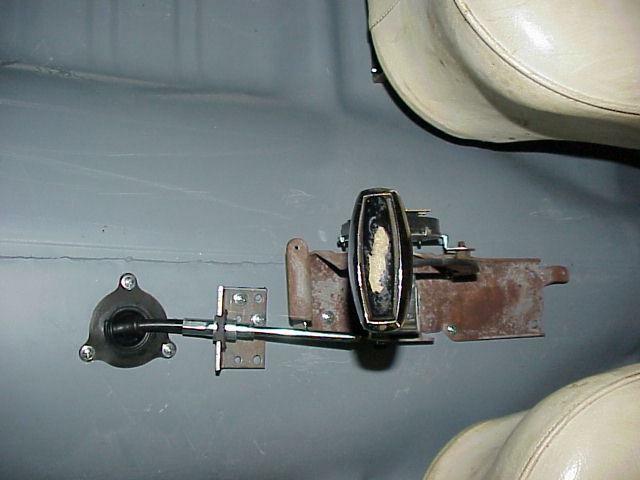 Laszlo used his '56 Nomad (still on stock frame) to check the firewall clearance. 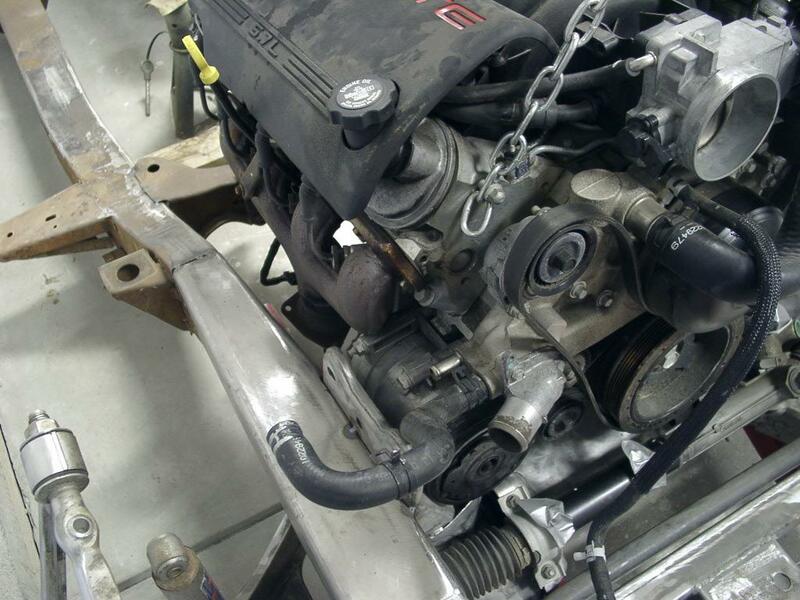 His Nomad frame still has the original bellhousing mounts in place, so he bolted the LS1 to an original bellhousing and checked for clearance vs. the firewall. 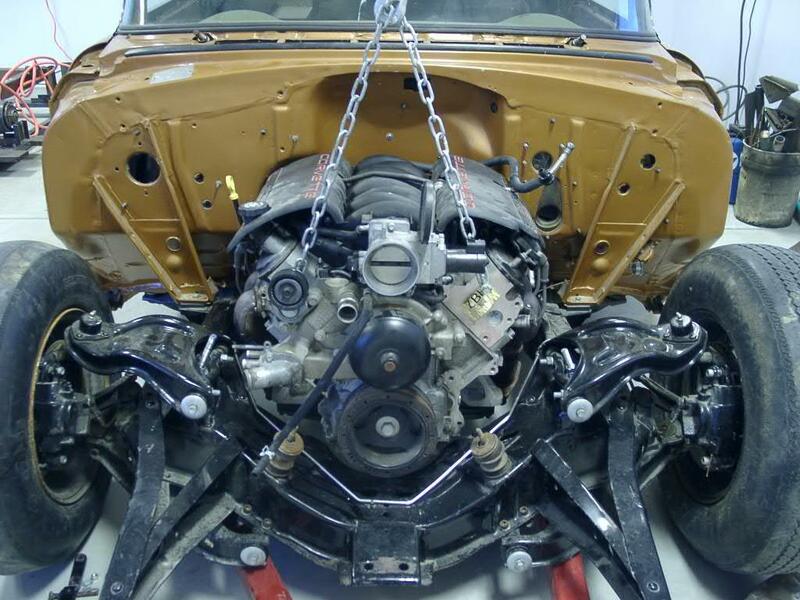 As you can see from the pictures, the engine will have to be moved forward by an inch or two. Engine shipped to Colorado! Test fitting begins! 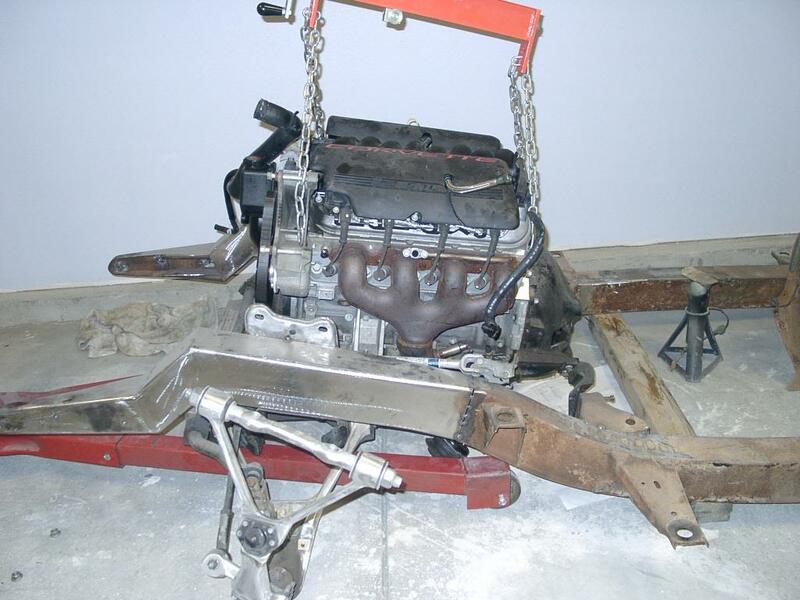 The LS1 arrived at Laszlo Nobi's house on January 20, 2003. 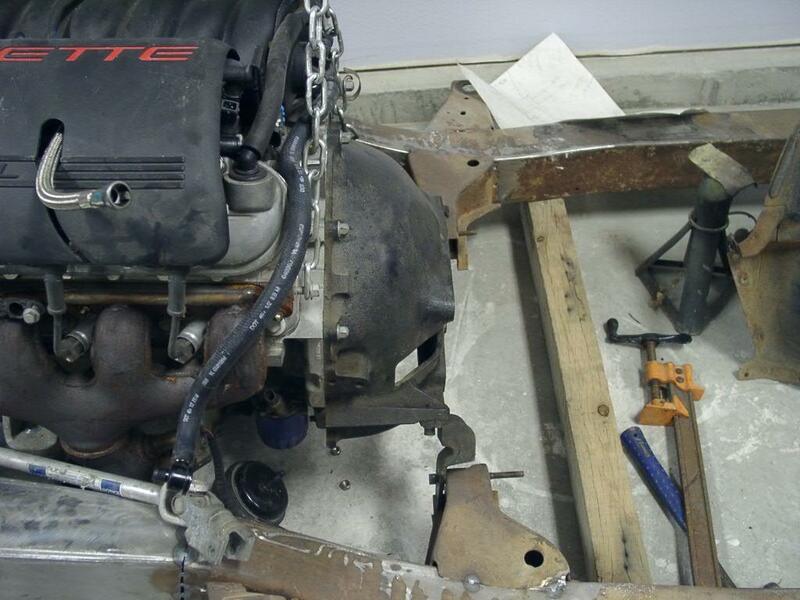 Laszlo wasted no time in trial-fitting the engine in the frame. Early concerns about the oil pan turned out to be no problem, but it looks like I will have to relocate the power steering pump and A/C compressor. 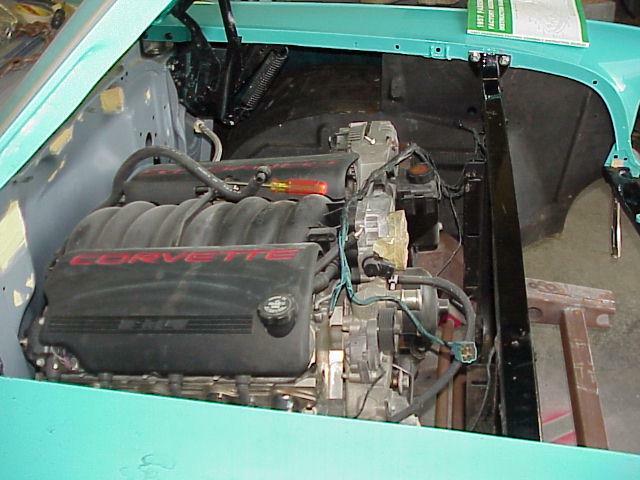 With the engine bolted to a stock '57 Chevy bell housing that is bolted to the stock frame horns, the engine just barely clears the Vette steering rack at the front of the engine. We will have to measure for firewall clearance. 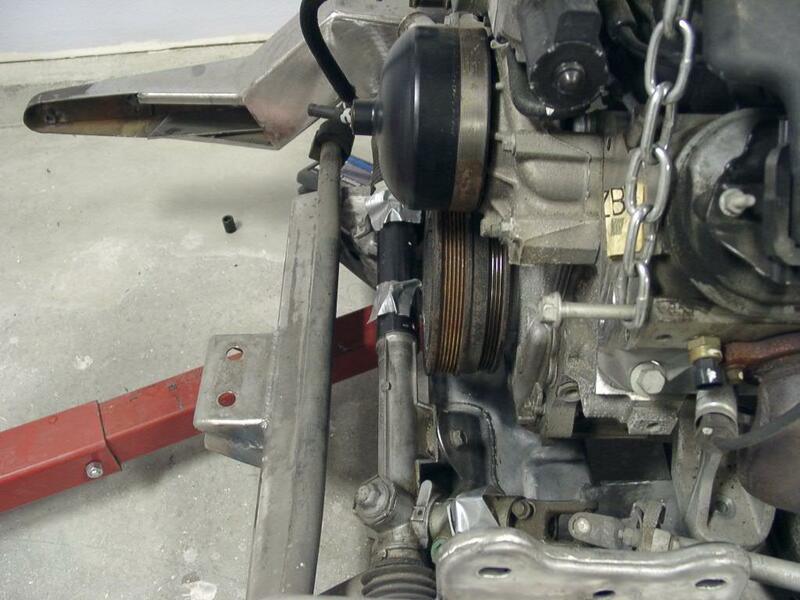 If the engine has to be moved forward to clear the firewall, then it will also have to go higher to go over the rack. 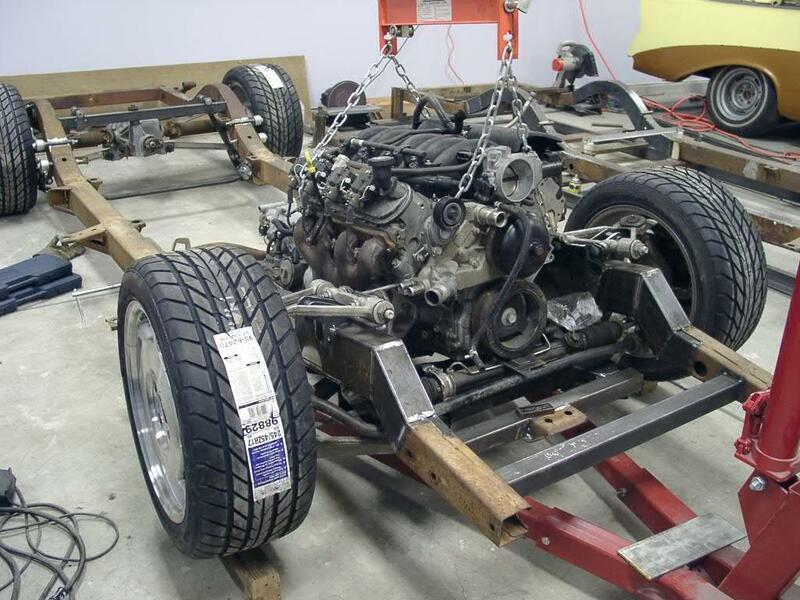 Since my frame is still in the jig, Laszlo used the frame for his own car for this preliminary measuring. 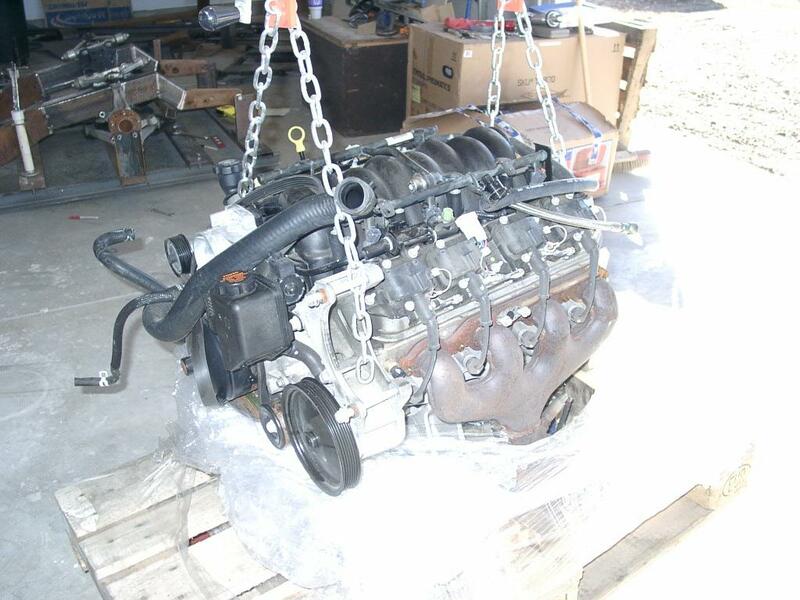 The transmission is a 4L60E out of a 2002 Firebird. I found this transmission through Car-Part.com. The company that sold me the transmission is Greenleaf Auto. 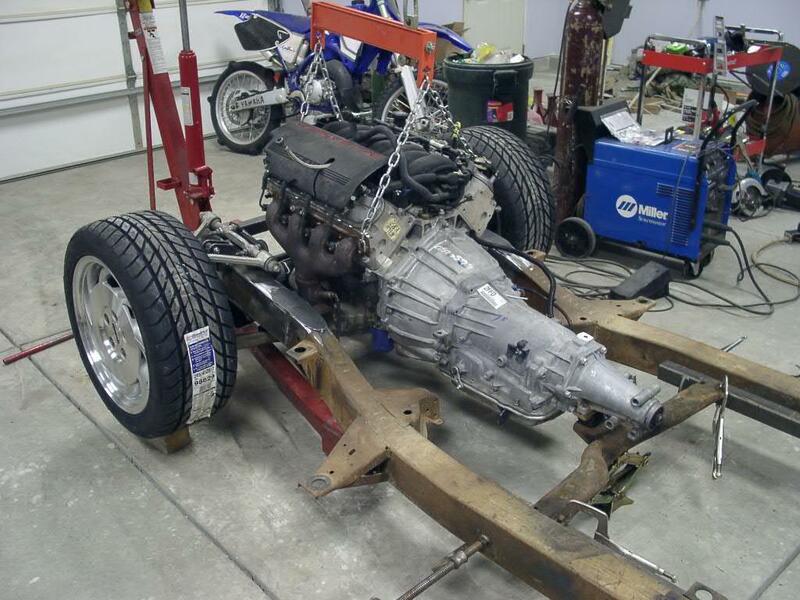 These two pics show the transmission when it arrived at Laszlo's shop in December, 2002. 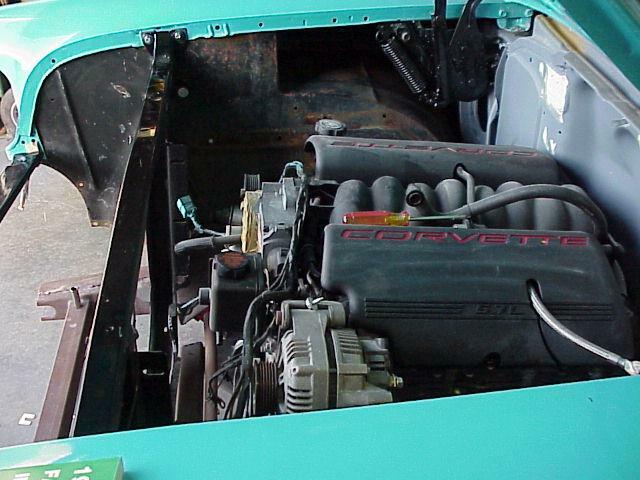 "Engine comes complete with all belt driven accessories, starter, exhaust manifolds, MAF sensor and elbow, fuel injection, and ECM (computer). 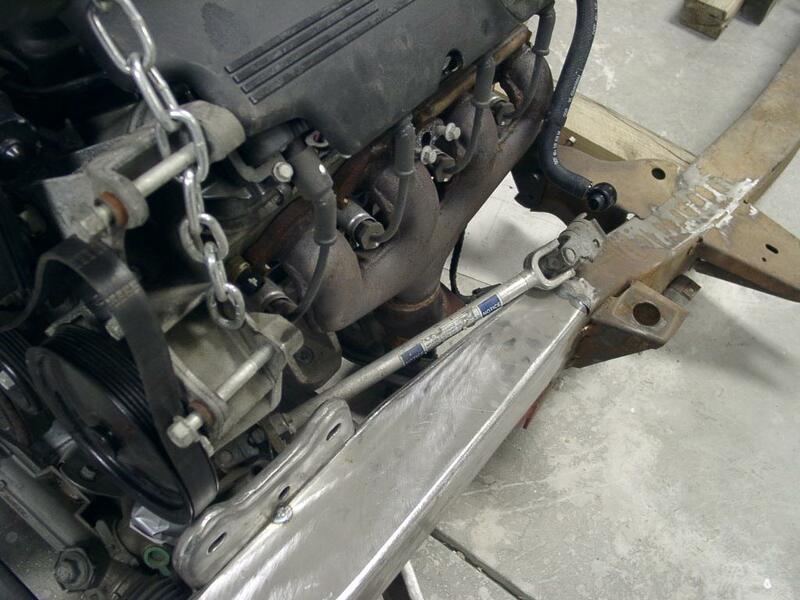 Complete from fuel injection to oil pan. Wiring harness IS included. Transaxle is NOT included. 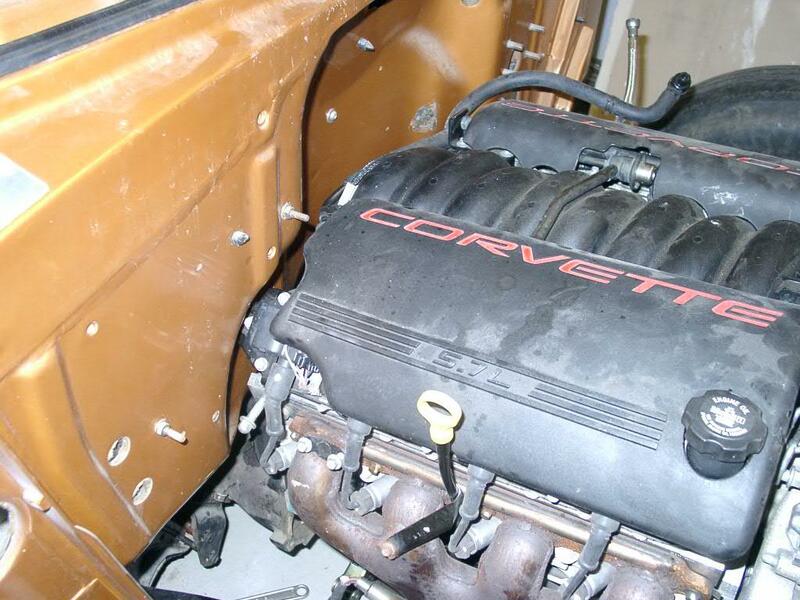 This engine has only 15,300 miles and runs excellent." � Wade's Nomad Site. All Rights Reserved. 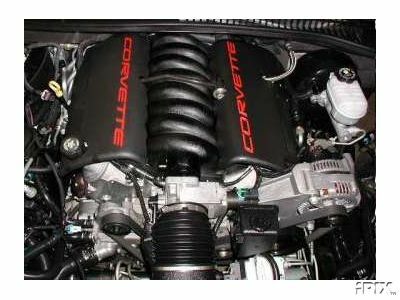 This site is in no way affiliated with Chevrolet or any other companies on this site that own a trademark.